We have had a few people ask about how to use and fit some of our products. 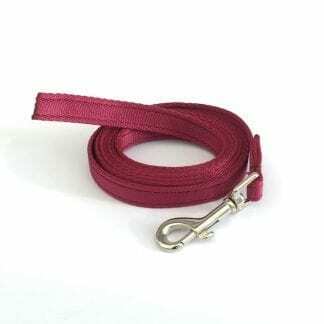 Here is some advice regarding your dog leads & collars. Fit & use a Half Check Collar. Fitting the Half Check – The half check (or choke) collar is designed so that it tightens on the dogs’ neck when the lead is pulled tight. To ensure proper fitting you MUST make sure that when the collar is adjusted the O or D rings can touch or there is a minute gap. 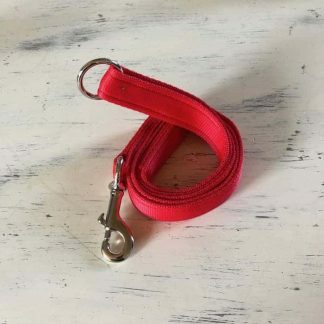 This means that when the collar tightens, it does not tighten to smaller than the dogs’ neck size. A couple of times customers have said that their collars are too big. Do not measure the collar to include the chain. Your measurement will not include the chain. 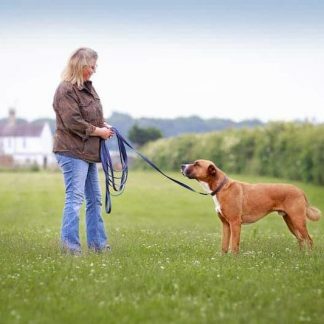 Choice of length – With regard to safety, consider if you will be able to hold your dog when they run to the end of your lead and do not use a head collar. This is because if your dog is likely to run to the end of the lead, he will probably get a sharp jolt. Double up – this means that you will be able to use the lead at half its’ length, so, for example, a 20-metre line can be used at 10 metres. Washing – use warm soapy water then hang out to dry naturally to bring up almost like new. Tangling – Consider the areas where you use your dog training lead and ask yourself if your dog is likely to get tangled around anything? As stated above we strongly recommend that you DO NOT use a long line with a head collar. This is because of the potential jarring effect on the dog’s neck when they run to the end of the lead. Use your own judgement if you think your dog is calm enough for this not to cause injury to your dog. A harness would be a good compromise and any jarring will be absorbed by the dog’s body rather than the neck. Brass or Nickel Plate fittings – Brass will last longer if you abuse it, ie hang it outside or leave it wet. I use brass in my kennels and they last forever. Nickel will rust and seize. If you store them indoors they will be just fine. Some people chose brass because it looks nicer. I will always make up leads for myself with brass, as I think it looks much nicer.